Becoming the Lead Embryologist at Bourn Hall Clinic at Colchester is a dream job for Anne O’Leary. She has a degree from Anglia Ruskin University, Cambridge, and gained her early training with Martyn Blayney at Bourn Hall Clinic. She left in 2003 to gain wider experience at Birmingham Women’s Hospital and Care Northampton where she was promoted to Laboratory Manager, before rejoining Bourn Hall in 2011. 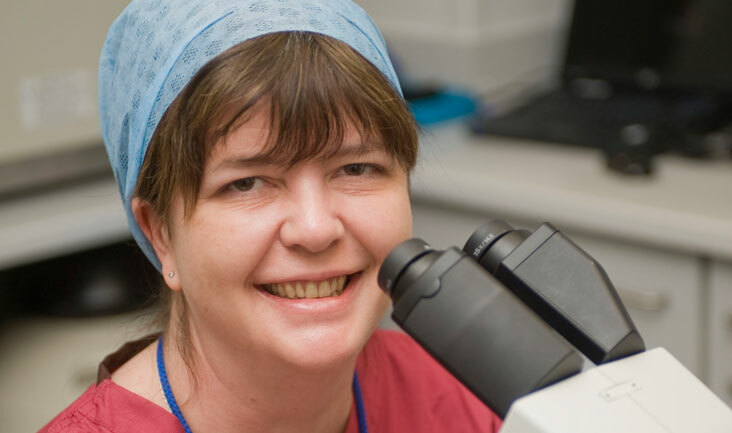 In 2017 Anne was promoted to Regional Lead Embryologist for Essex overseeing our clinics at Colchester and Wickford. The Embryology teams across the group work closely together and share working practices so that staff can move easily between clinics. Anne’s specialist interest is embryo culture, which is ensuring all the conditions for the developing embryo are as close to – or better than – nature would provide. Anne says: “I am delighted to be back with Bourn Hall – it is like coming home. We are working in one of the most highly regulated areas of medicine and it is great to be with such a caring and disciplined team of people.